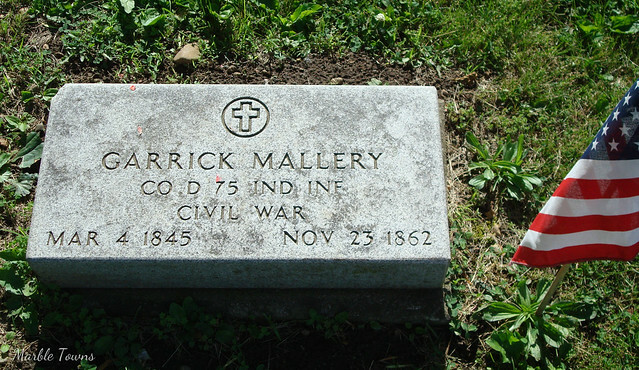 He is buried in the Riverside Cemetery in Riverside Cemetery in Noblesville, Indiana. Welcome to Week #11 of Taphophile Tragics on this blog! My list of links is Powered by Linky Tools –– please Click here to enter your link and view this Linky Tools list… … which will open in a new page (sorry ….. unless I pay for the full WordPress, this is the best the Linky can do). 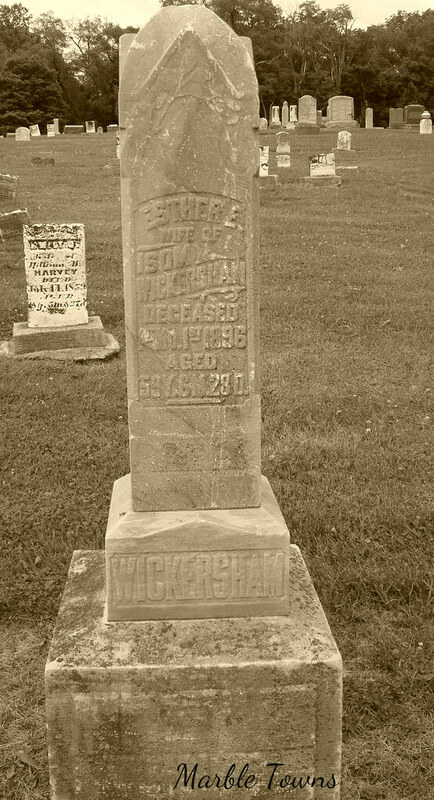 Esther Wickersham, Wife of Isom Wickersham, Deceased 1st Month, 1st, 1896, aged 59 years, 6 months, 28 days. 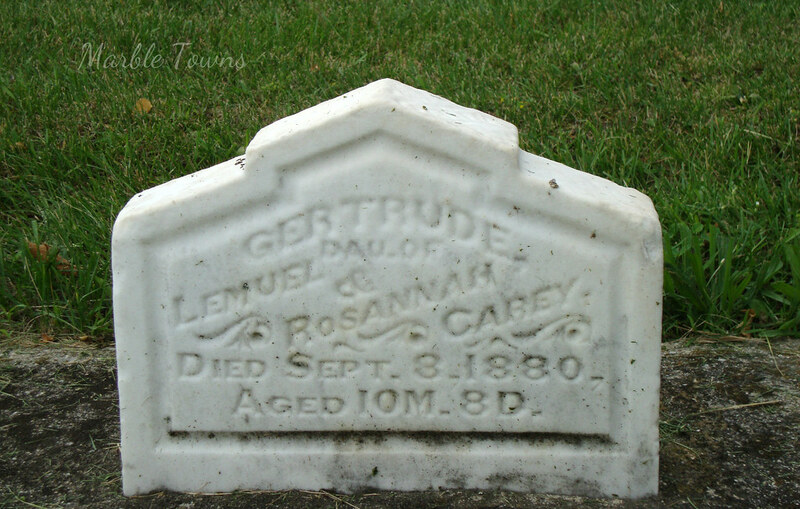 Her marker is found in the Old Carmel Cemetery in Carmel, Indiana. 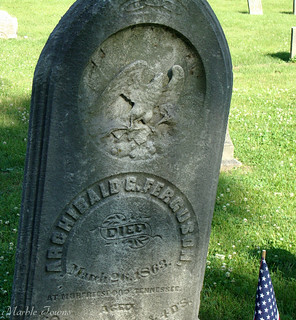 On FindaGrave, someone had found more information about her husband, Isom. That person found this: Isom (called “Joshua” on the 1850 census) Wickersham was born 03 Jan 1833 in Wayne Co.,IN. 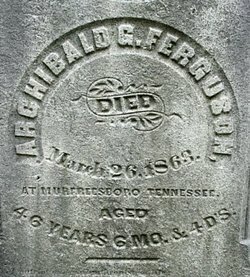 He was the son of William G WICKERSHAM (B.16 Mar 1809/D.30 Jun 1855) and Idema A LLOYD (B.04 Jun 1836/D.01 Jan 1896). 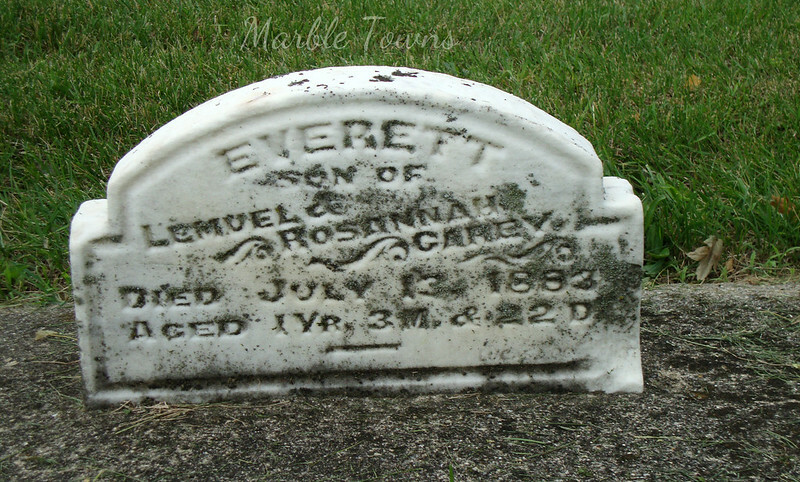 He married Esther E O’Reper on 07 Jul 1853 in Wayne Co., IN. I found the Wickershams in the 1860 census, which shows Isom as a farmer, and lists him, Esther, and three children: Drodema (sp? ), William and Mary. I found him again in the 1880 census, which lists his as “Isam” – and which lists him as a farmer, with Esther, his wife, and three children: William, Meary and Rachel. It’s interesting to note that there were quite a few people with the last name Wickersham in the Indiana census, especially in the 1880 census. Riverside Cemetery, Noblesville, IN To read about Wednesday’s Child on this blog, please visit my page. And for more Wordless Wednesday, please visit THIS PAGE. “They rest from their labor” in Old Carmel Cemetery in Carmel, Indiana. I found them in the 1870 census for Clay Township, Indiana — He was listed as being a farmer, while his wife kept house. They show 2 children in their house, Rhoda and Thomas, and also one other person, Calvin, age 36, whose occupation is listed as a teacher. I assume he was related to Clarkson, and was living with them while teaching. I’m participating in Cemetery Sunday, hosted over at Beneath Thy Feet. Abslom Gunyon, as simply stated on this marker at Riverside Cemetery in Noblesville, Indiana. 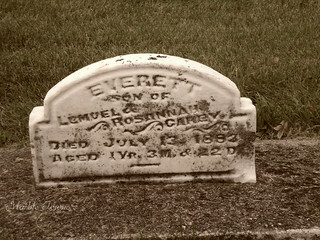 The marker caught my eye because of his unusual name. 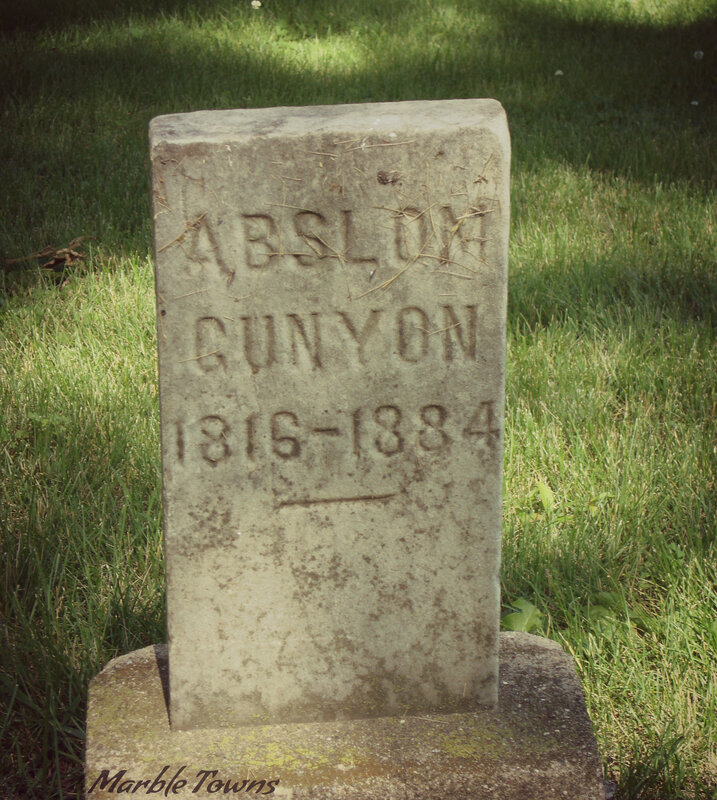 I found other Absalom Gunyons in different census records, such as 11 year-old Absalom Gunyon in the 1860 census record of Wayne County, Indiana — and obviously, this isn’t the same person as the one in this cemetery, as he’s much too young. There’s an “A Gunyon” who also shows up in two different census years in Indiana, but the age is also wrong to be this particular person. So perhaps the name wasn’t as unusual as I thought. To see more Cemetery Sunday posts, please visit Beneath Thy Feet.